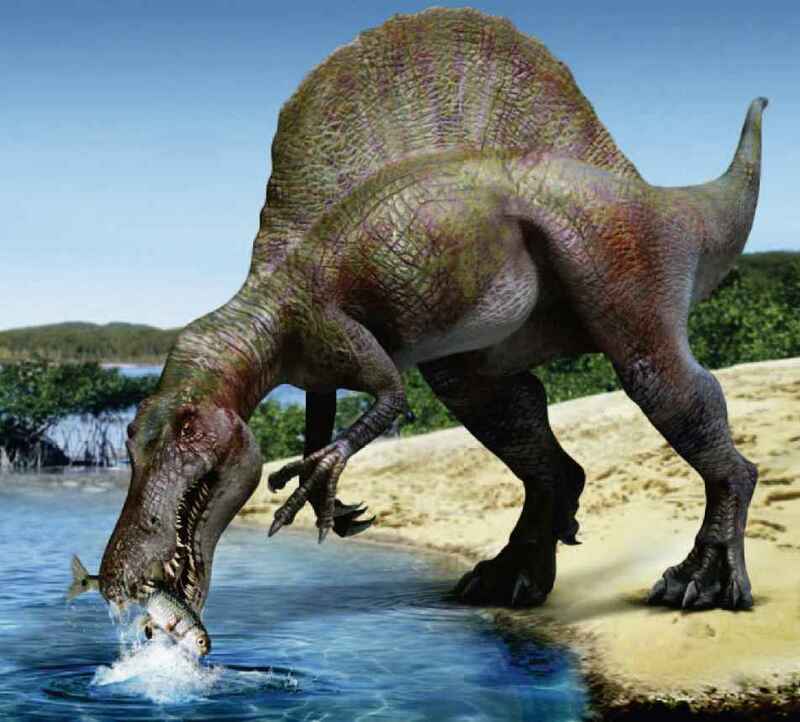 In the Late Jurassic, Tendaguru was a lagoon or estuary. Rivers flowed into it, carrying the corpses of animals to a mass grave. Sediments fossilized them, and it is these deposits of red sandstone that have yielded Africa's finest examples of dinosaurs. The skeleton of Kentrosaurus reveals its framework. 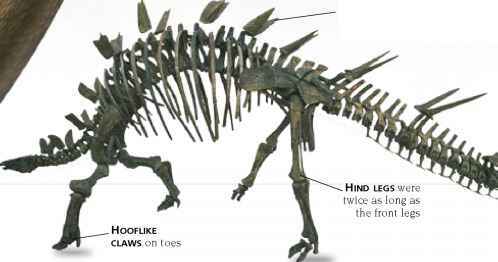 It had two rows of bony plates on each side of its backbone, protecting its neck, shoulders, and the front part of its back. From its lower back and tail grew seven pairs of sharp spines. 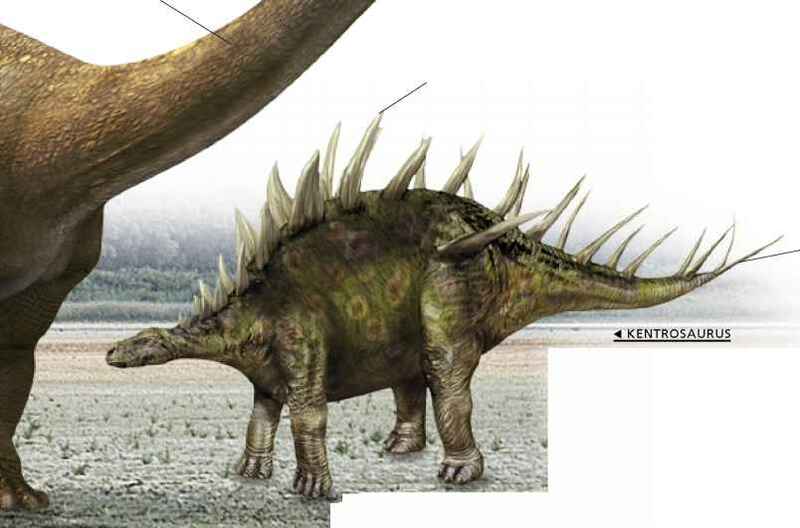 A stegosaur—the family of plant-eating dinosaurs whose bodies were protected by spines and plates of bone—Kentrosaurus had a small head with a brain that was no bigger than a walnut.